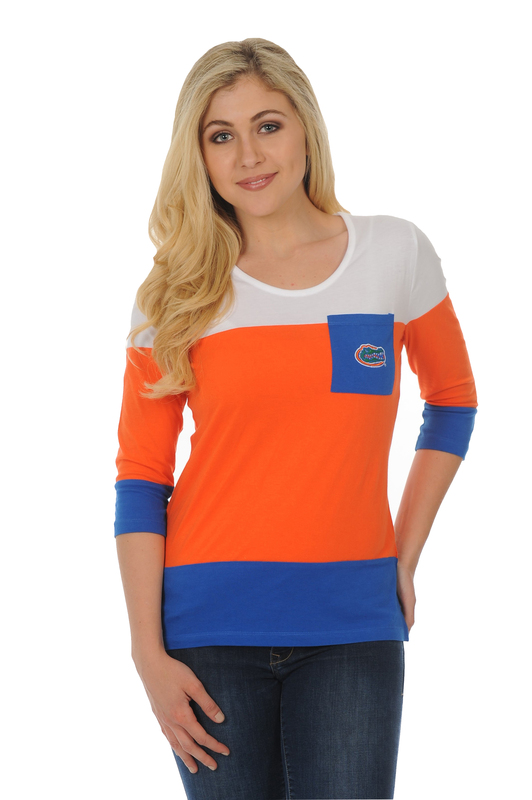 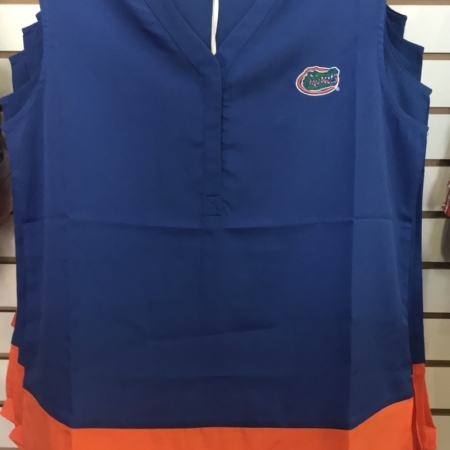 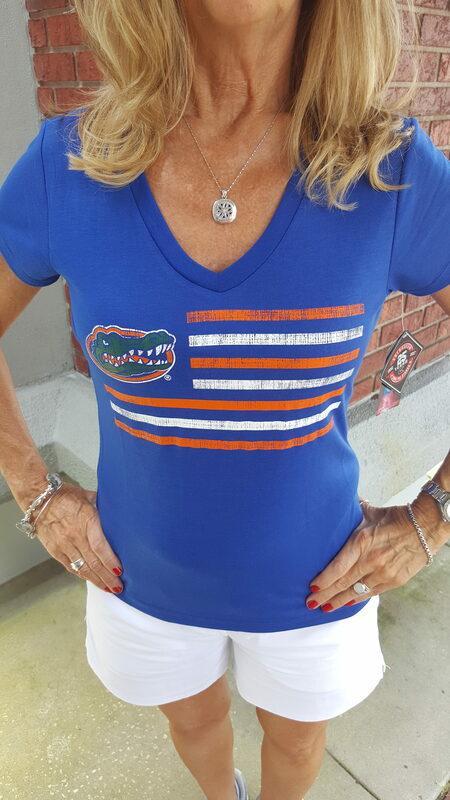 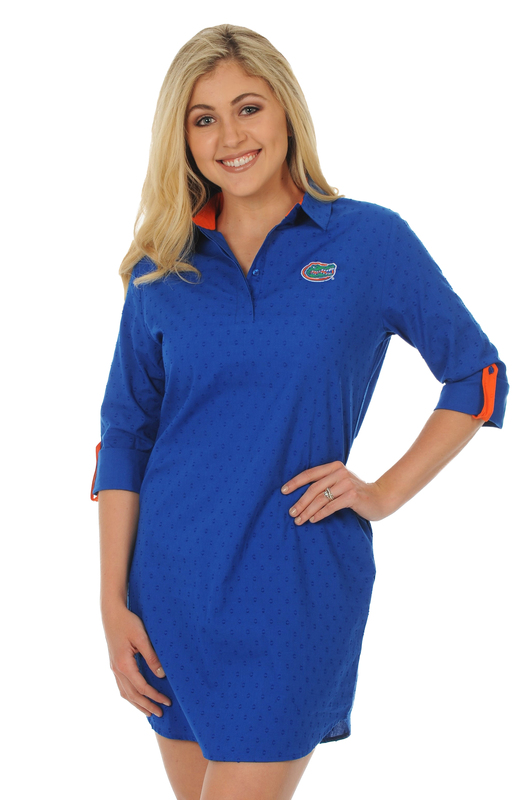 Multicolor Florida Gators 3/4 length sleeve top by University Girls. 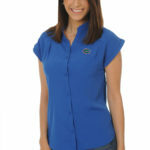 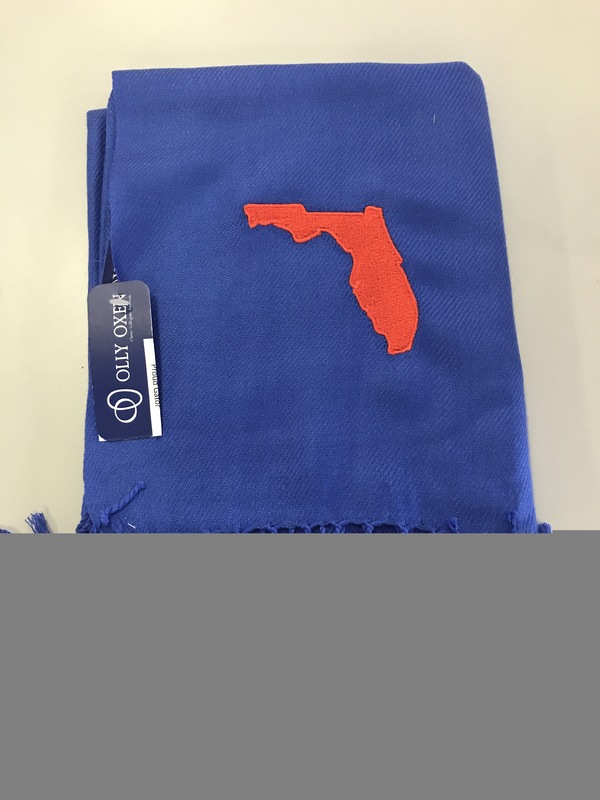 100% cotton with a tailored fit and a functional front pocket with embroidered Gator head logo on it. 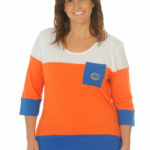 Photo credit: University Girls Apparel.